The latest analyses of China’s art market make for an uncomfortable read. Clare McAndrew’s annual tome on the global scene, produced for Art Basel and UBS this month, finds that in 2018 China witnessed “a contraction in supply of high-quality works and cautious buying, as trade and debt crises loomed”. Sales through the mainland’s dominant auction sector fell by 6% over the year, and were 24% down at Poly Auction, the third largest auction house in the world. In Hong Kong, auction sales were down 22%, albeit from an impressive height. A separate report on China, by the academic Kejia Wu, was published in mid-March for the Tefaf art fair and concludes that the secondary (auction) market is unlikely to regain the high levels reached in 2011 over the next five to ten years. An obstructive, red-tape environment is partly to blame: Wu highlights the fact that overseas auction houses can’t sell profitable cultural relics (meaning from before 1949) in China, as well as the country’s currency restrictions and punishing import taxes. A lack of state support for private philanthropy is also raised as a potentially ruinous situation for China’s many private museums, which have been fuelling the art market in recent years. There are other niggles behind the headline numbers. McAndrew notes that China has one of the highest rates of buy-ins (unsold lots) at auction, at 57% (averaging at 18% in the US fine art market, 27% in the UK). She also finds that slow and non-payment persists as an issue for Western galleries doing business with mainland China. 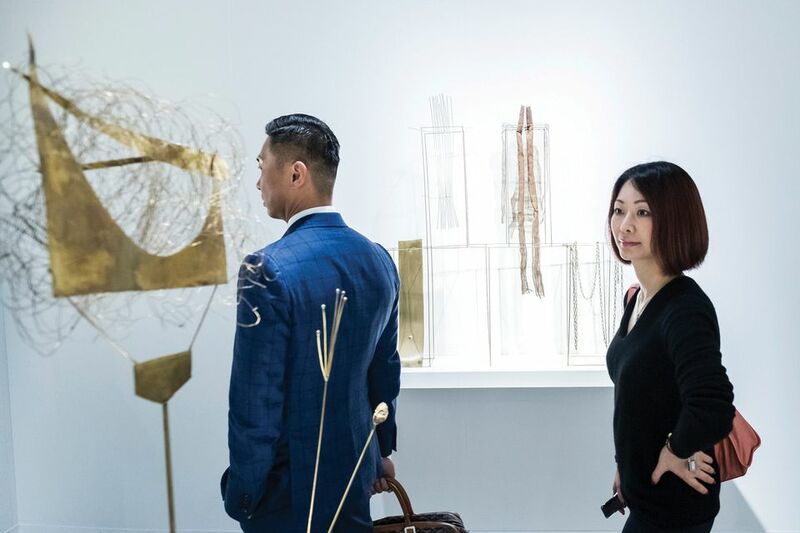 Kejia notes that China’s next generation of buyers is mostly interested in Western contemporary art, a factor she attributes to the marketing efforts by Western galleries and fairs—as this week’s Art Basel in Hong Kong reminds. This explains why international galleries are continuing to open at a relatively breakneck speed: Lévy Gorvy and Axel Vervoordt launch spaces in Hong Kong this week, Lisson gallery has opened in Shanghai this year, followed soon by Almine Rech. But what might be good for the high-flying international market does not seem so healthy on a grassroots level. Auction house executives are making positive noises about the Asian countries outside of China—Sotheby’s reported participation in London’s latest season from Taiwan, Japan, South Korea, Singapore and Thailand. But the reality is that as the biggest economy on the continent by some distance, what happens in China largely radiates to its neighbours. Still, there is clearly also a valid longer term play here. It would be implausible for China’s economy—and its art market—to keep growing at the same speed as the past ten years. But a recent report from Standard Chartered bank puts China ahead of the US as the world’s biggest economy as soon as 2020 and predicts that six of the world’s largest economies will be in Asia by 2030—only 11 years from now. Major Chinese cities such as Guangzhou and Chengdu are hailed as the next great wealth spots. Meanwhile, where else is there for the art market’s players to pin their hopes? They must have their fingers crossed that 2018 was an unusually rocky year.